When we talk about benefits of drinking herbal tea , first we know that Tea is a most common selection for the people who want to improve their overall health in a natural way. Herbal teas are made from various fruits, herbs, spices, and dried flowers. These teas are the healthiest drinks one can have. Herbal teas are rich in minerals, antioxidants, and vitamins depending on the nature of the herbal blend. Herbal teas are mostly caffeine-free and serve you according to your mood, in summer they cool you down, and warm you up in winters. You can have various short-term and long-term benefits from these drinks. You can enjoy these teas in both cold and hot forms. Herbal teas can be used in a variety of flavors according to the taste of the person. Here we present some of the wonderful benefits of drinking herbal tea. Herbal tea greatly influences the digestive system. It improves the blood flow in the digestive tract, absorbs the gas, and removes the radicals which cause problems in the stomach. Most of the herbal teas contain the phenols which make the muscles of stomach and esophagus strong. Herbal teas like Ginger tea and chamomile tea stimulate the production of digestive juices like saliva which helps the body break down the eaten food easily. Herbal teas are well known for their relaxing and calming effects. You may feel stressed after your hectic work at the end of the day, herbal tea is the best solution to make yourself relax in a natural way without having any side effects as in case of the medicines. 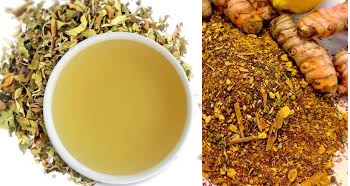 · Herbal tea based on Valerian tea helps in resolving many sleep disorders due to its sedative properties which is among the essential benefits of drinking herbal tea for sleep. · Lemon balm tea reduces the stress hormones in the body and keeps you active throughout the day because of its anti-drowsiness properties. These benefits of drinking herbal tea are considered the most important when it comes to ranking from the most effective. Regular use of herbal tea helps slow down the aging process due to antioxidants present in them. These antioxidants prevent the damage of the free radicals in the body and make your hair and skin look younger and beautiful. Herbal tea is useful against many skin problems including acne. This natural way of treatment improves the overall health of the skin without causing any side effects. Chamomile and Rooibos teas can be taken or applied directly on the skin. The antibacterial and antioxidant constituents found in these herbal teas improve the overall health of sin and prevent the breakout of acne. The natural constituents present in the herbs improve the overall immune system of the body and protect against many diseases. · Ayurveda, a natural healing process, applies Tulsi tea to strengthen the immune system of the body during or after the illness. The antibacterial and antifungal properties of this tea play an important role in strengthening the defense system of the body. · Dandelion tea eliminates the toxins from the body and protects the body against infections due to its diuretic properties. Herbal teas improve the overall health of the body due to their wondering properties. Different herbs are in use and have many health benefits. · Ginseng tea improves the white cell production in the body and controls the flu by preventing virus replication. · Tea made from elder tree controls the cold by clearing the nasal passage, reduces the effects of asthma and controls heavy coughs. · Hibiscus herbal tea helps in lowering the blood pressure without causing side effects. Natural contents of this tea are far better than the heavy dosage of the medicines. Go to Herbal Beauty Tips - Check out the latest herbal beauty tips and tricks here.